While there is nothing more exciting than travelling during summer, long pain rides can be a massive pain in the back – and neck, among, well, other things. There are only a few things in life worse than being sandwiched in a tight 26B seat for hours on end, not being able to move a single inch in any direction. What’s even worse than having to sit in one position for long time is the soreness that comes after you disembark the plane. This is the kind of pain that is completely opposite of what you’d feel after a strenuous workout session – but is there a way to avoid it? 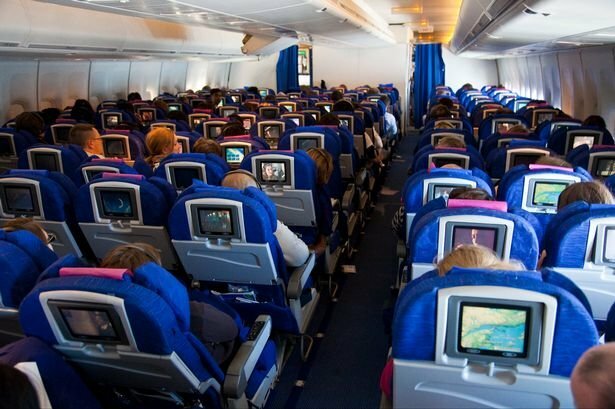 According to an exercise physiologist, here are a few stretches you can do in a plane thousands of feet above the ground to prevent the soreness and discomfort that follows after a long flight. 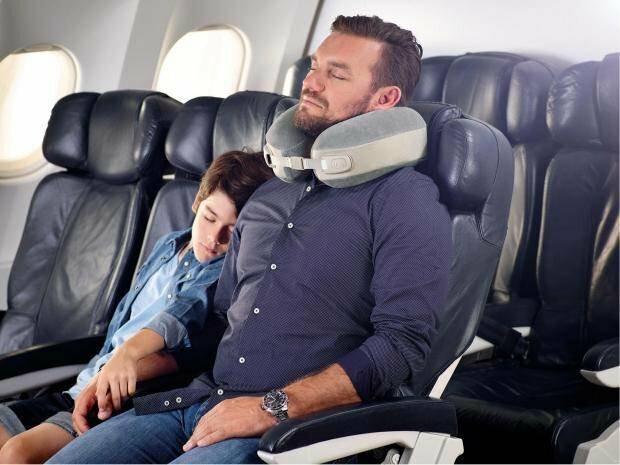 Most of us get in the habit of sitting with bad posture throughout a long flight which can lead to soreness in neck and upper back. One exercise physiologist says that it is important to maintain a good range of motion within your joints to keep them from getting stiff. To make sure your joints are in motion throughout the flight, rotate your neck and move your head up, down and sideways a few times every half an hour or an hour. If you’re sitting in a cramped seat and don’t have enough space to move your hands around, you can clasp opposite shoulders with both hands and sit in an upright position to stretch your thoracic spine. When seated in a single position for more than a few hours, your lower back really starts to feel the pain from carrying the weight of your upper body without getting any mobility. Physiologists say that humans are not naturally meant to sit. Instead, our bodies are made for squatting so that the weight is evenly distributed to each muscle group such as legs and core instead of falling completely on your lower back. It is recommended to lift yourself from the chair slightly, every half an hour, so that you’re in a squatted position without your glutes touching the seat. If it isn’t possible to squat in your chair due to limited leg room, simply walk up and down the aisle to unload your spine and give it a few minutes of rest. When you’re sitting in the same position for too long, your hip flexor muscles are in a tense, shortened position which can make them extremely sore after the plane ride. A simple stretch to avoid tightness in the hips is by simple standing in the aisle and lifting one of your legs to your chest and clasping it tightly by the knee while keeping the other leg completely straight and planted firmly on the ground. This moves the hip muscles from a flexed to an extended position for a nice deep stretch. If you’ve been sitting on your backside for too long and can’t feel your glutes anymore, you may be suffering a dysfunction in your largest glute muscle (gluteus medius) due to lack of activity. The best way to get your glue muscles firing again is by standing in the aisle and reaching down to grab your ankle or knees while keeping your spine in a neutral position. This will give your gluteus medius a full range of motion and prevent any soreness of stiffness that can occur after a long flight. Repeat this for a few times before sitting back in your seat. 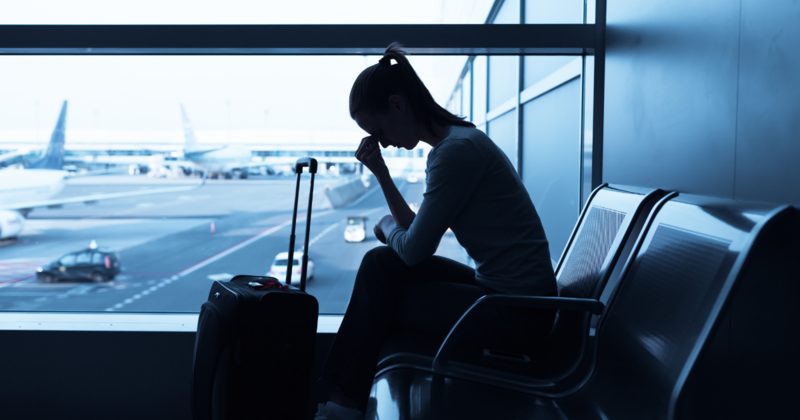 If you’re a frequent flyer then you must have heard of or suffered from Deep Vein Thrombosis (DVT) – a condition where a blood clot forms inside the leg and can travel up your body to other organs like lungs. 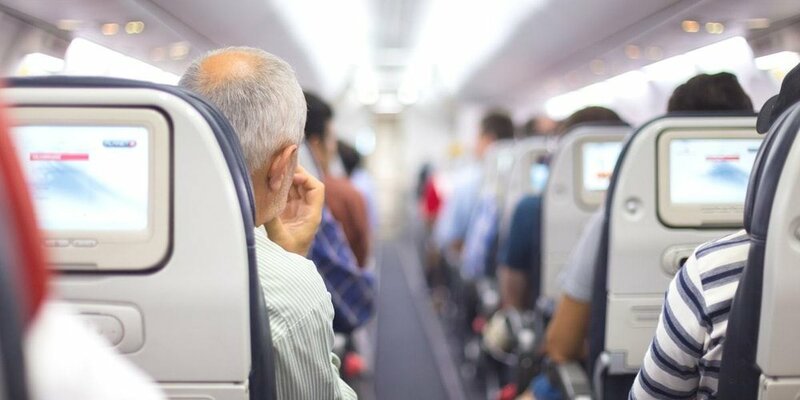 Although the risk of developing DVT during a long flight is slim, it is still advisable to stretch your legs from time to time and walk up and down the aisle of the plane to prevent blood from pooling in your legs. Walking is a great way to boost blood circulation, but if you’re stuck in the window seat and can’t really get up that often, pack a point ball with you to roll under your feet to promote lymph circulation.